Elite Trainer and Creator of the #1 Home Fitness Program of All Time! Subscribe now and receive free exercise how-to's, nutrition tips, fitness motivation and much more! How Popular is Tony and His Fitness Programs? Over the past 25 years, elite trainer Tony Horton has revolutionized the fitness world by helping millions of people get ripped and get healthy through his world-renowned total-body workouts. These groundbreaking programs are among the most popular home workouts ever, selling a combined total of more than 7 million copies and counting! Always on the cutting edge of sports science and nutrition, he's a trainer who knows how to get results. Today, people all over the world from—athletes and movie stars to members of the military and Congress—can credit their improved stamina, strength, and extreme body transformations to Tony Horton. It all began with Tony's legendary P90X® workout. The first program of its kind, P90X pioneered the category of extreme in-home fitness by helping a whole generation get lean and ripped in just 90 days—no expensive gym membership necessary. He followed up his success by dialing up the intensity of his extreme workouts in P90X+®. Then, in P90X ONE on ONE®, he offered fitness junkies a series of unscripted, plateau-busting personal training routines, all of them shot right in his own home gym. Still, Tony was far from finished. With P90X2®, he brought pro-level athletic training into the home, using the latest sports science innovations to deliver elite results. Then, by creating P90X3®—the most efficient extreme workout ever—he's helping people completely transform their bodies by working out for just 30 minutes a day. Topping it all off is P90®—Tony's newest addition to the P90X family. Believing that no one who wants to get fit should be left behind, Tony created this simple, doable 90-day program for anyone who wants to achieve dramatic results. Even the military has benefited from Tony Horton's expertise. He regularly visits bases around the world and has worked with the Pentagon and Armed Forces Entertainment to help develop stronger, healthier troops. Tony Horton has been featured in numerous publications including Men's Fitness, Fitness, SELF, The New York Times, The Wall Street Journal, People, and Women's Health; and he has appeared on national television shows such as the Today Show, Good Morning America, Piers Morgan Live, and The Dr. Oz Show. He's also the author of three best-selling books, Bring It, Crush It, and The Big Picture: 11 Laws That Will Change Your Life. Whether you're a fitness beginner or seasoned athlete, Tony has developed a wide variety of fitness programs, workout gear and nutritional supplements that will help you reach and maintain your health & fitness goals. Get dramatic, visible results without going to extremes! Tony Horton's P90 workouts are simple, doable, and made to change your body right away—regardless of your age or fitness level. 2 monthly payments of $39.95 (+$12.95 s&h). Or select a single payment option during checkout. Get ripped in just 30 minutes a day, using Tony Horton's breakthrough Muscle Acceleration system. Now you'll always have the time to work out—and you can burn fat and build lean muscle faster than ever. 3 monthly payments of $39.95 (+$19.95 s&h). Or select a single payment option during checkout. This is the groundbreaking workout that's already changed millions of lives! In 12 muscle-carving workouts, Tony Horton transforms your body from regular to ripped in just 90 days. The 10-Minute Trainer workout will help annihilate body fat by working your upper body, lower body, and core from every possible angle—plus cardio—all at the same time for maximum efficiency. 2 monthly payments of $39.95 (+$12.95 s&h) Or select a single payment option during checkout. P90X2 delivers the kind of results pro athletes insist on. You'll engage all of your muscles with every move, delivering the same kind of training pro-athletes pay thousands of dollars for. 3 monthly payments of $39.95 (+$19.95 s&h) Or select a single payment option during checkout. Add P90X Plus to your regular rotation and create workout combinations beyond anything you've ever imagined. You'll literally take your workout to the next level. 2 monthly payments of $29.95 (+$9.95 s&h). Or select a single payment option during checkout. Try indulgent Chocolate Fudge, delicious Café Mocha, creamy Wildberry Yogurt, or scrumptious Chocolate Peanut Butter. All P90X bars pack a whopping 20 grams of protein, and you can try them all with the Variety Pack. The Variety Pack contains 3 bars of each of the 4 flavors (for a total of 12 bars)! P90X Peak Health Formula is the highest-quality, most complete multivitamin we've ever offered. Taken daily, each P90X Peak Health Formula packet will ensure your body gets the vital nutrients you need to perform at your best and get the most out of your fitness program. Built for durability and comfort, this is the ultimate muscle fitness training tool to strengthen and develop your shoulders, back, arms, and abs, and more. There's no better way to take your upper-body workout to the next level. The P90X® Chin-Up Bar mounts easily to any doorframe to become your own personal gym. Designed to be used with the P90X® Chin-Up Bar, this advanced training tool gives you an adjustable amount of lift so you can work your way up to doing more unassisted chin-ups and pull-ups. Use it to build strength, improve technique, and push your results even further. When it comes to the success of your Plyometrics workout and the health of your knees, ankles, hips, and feet, just any old mat won't do. Ordinary mats may be fine for some workouts, but for a high-impact workout like P90X® Plyometrics, you definitely want a comfortable, shock-absorbing mat of the highest quality. Be the first to receive exciting news about products, workout tips, recipes and more from Tony Horton! Shakeology is packed with more than 70 of the world's most potent, most nutritious, and most delicious ingredients. Not only does it provide a wide range of essential nutrients from the fruits and vegetables you should be eating every day, you'll also reap the benefits of incredibly nutritious food you'd otherwise never have the opportunity to eat. Food that nutrition science has shown to be highly advantageous to your health. We want you to be 100% satisfied or your money back! If you're not satisfied with the performance of this product, please contact Customer Service for a Return Authorization number to return it within 90 days for a full refund of the purchase price, less shipping & handling -- no questions asked. We want you to be 100% satisfied or your money back! If you're not satisfied with the performance of this product, please contact Customer Service for a Return Authorization number to return it within 60 days for a full refund of the purchase price, less shipping & handling -- no questions asked. We want you to be 100% satisfied or your money back! If you're not satisfied with the performance of this product, please contact Customer Service for a Return Authorization number to return it within 30 days for a full refund of the purchase price, less shipping & handling -- no questions asked. Some products contain natural rubber latex which may cause allergic reactions. ©2015 Beachbody, LLC. All rights reserved. 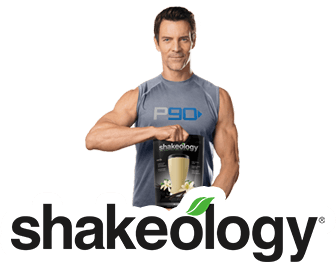 Beachbody, LLC is the owner of the P90®, P90X®, P90X2®, P90X3®, 10-Minute Trainer®, P90X® Plus, Shakeology®, Beachbody® and Team Beachbody® trademarks, and all related designs, trademarks, copyrights and other intellectual property. All other trademarks, products, and service names are property of their respective owners.